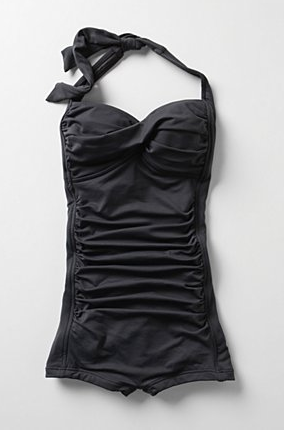 Since I'm a HUGE Vince fan and I recommended the Natalie bathing suit from Anthropologie and it was (gasp!) all sold out (boo hissssss! 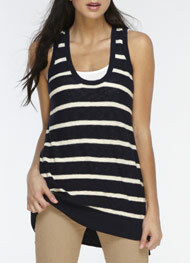 ), I needed to tell you guys about this HUGE Vince summer sale for BOYS and GIRLS that's happening. I'm aware that this may fall under the category of incredibly lame PL posts, but I just can't help myself. 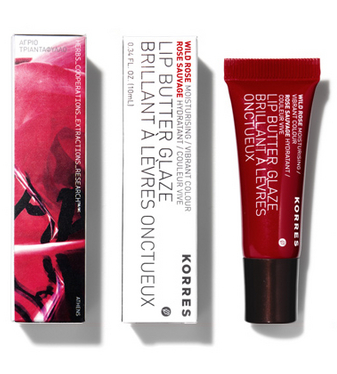 I created this blog to share my most favorite discoveries and, well, this is one. DEAL WITH IT. Since Ye Olde Flinstone Vitamin days and, okay, maybe those chalky sour cherry C days, I've not been able to get myself to regularly take vitamins. I buy multis. I take them for a day or two. Then I forget and only remember six months later, when I'm moved to start taking them again. Inevitably, I return to the cupboard to find that they've expired. Then I buy them again. Until now. 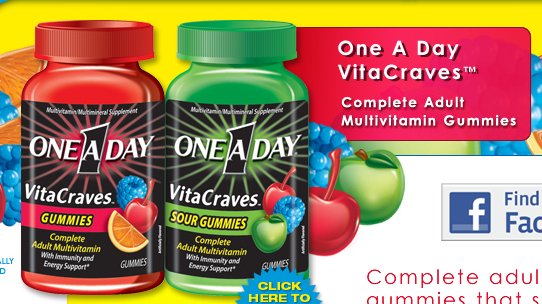 Now, I am totally and completely obsessed with the above Sour Gummies (Adult Multivitamins), which are for adults (ahem), but taste so much like yummy candy that I have to talk myself out of eating more than my daily allowance. I like saying "daily allowance." Andre Vien has asked me about seventy-fives times whether they're for adults because he's been taking them too (and because apparently he doesn't listen when I answer questions!). I haven't tried the regular non-sour variety, but they may do the trick too. And that, my PL friends, is one to grow on. What's up, Ace? Yeah, YOU, Scoop. Extra, Extra! Read all about it! You know what? I don't know where I'm going with this. I wish I did. But I don't. I think I just wanted to say "Ace." And now it's even sadder because I admitted it. 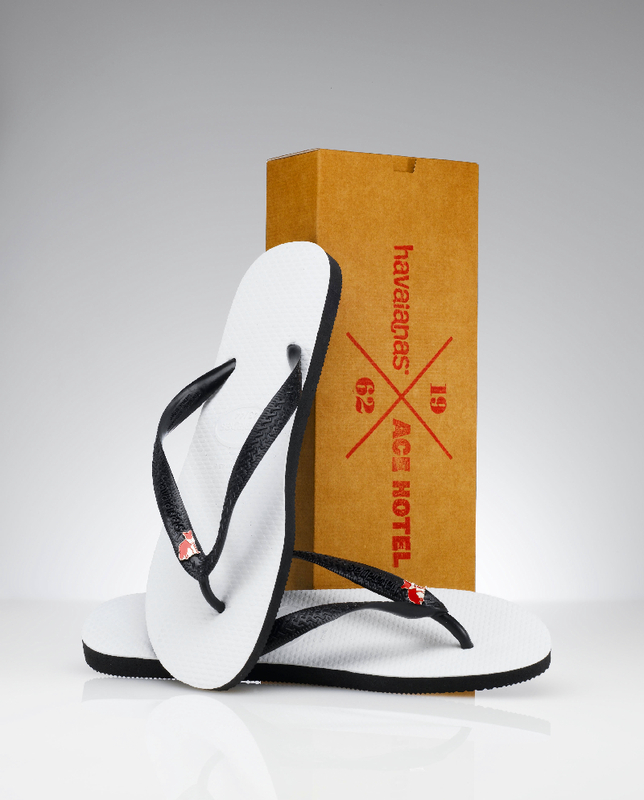 Eh, let's just get to the point: Ace Hotel is partnering Havaianas to create limited-edition flip-flops that are available starting on April 15th as part of their in-room minibars (don't mistake them for Toblerone and even them! Though maybe they're less fattening?) and online. They're $22 a pop (for two–heh) and the website only has 50 pairs available, so get on it. Get your paper! Get your limited-edition Havaianas! Hot off the presses! Extra, extra! What? Guess who's back? Back again. Guess who's back, guess who's back, guess who's back! Hmm … that sounds a lot better when Eminem says it. Maybe if I also mentioned a drug addict mother and ex-wife Kim? No offense, Mom. I don't really think you're a crackhead. I'm just selling you out to sound cool. Eh—what do you care? Are you even reading this? MOM? How could you? I'm like this because of you! Guess who's back, guess who's back, guess who's back! Did it work better that time, now that I added mommy angst? No? Oh well, screw all ya'll. You just don't understand people like me and Slim Shady. ANYWAY, I'm back from India and I can't even begin to tackle that situation with this jet-lag (which I will also reserve the right to blame for this incomprehensible post). Suffice it to say that the trip was amazing, but also EXHAUSTING. You know when you just need a vacation from your vacation or overseas jaunt? That's what makes the timing of this post so perfect! Today marks the beginning of Spa Week nationally, which means that spas around the country (in Arizona, California, Colorado, D.C., Florida, Georgia, Illinois, Maryland, Massachusetts, Michigan, Minnesota, New Jersey, New York, Nevada, North Carolina, Pennsylvania, Tennessee, Texas, Virgina, Washington and even dear old Canada) are offering special $50 spa treatments (for services like facials and massages that are usually like $150-$200). Basically, there are participating spas in all the states where there are Real Housewives spin-offs. No, I'm kidding. They would never do Real Housewives of Canada. How boring would THAT be? They'd like be fighting over maple syrup. But seriously, you have to go to the website, find a local spa and go to one because I just spent like twenty years typing that list of states … and Canada. You think I'm kidding. Anyway, a lot of high-end kind of awesome spas are involved, so it's definitely worthwhile to check it out. And, while you're at it, grab a rubdown for me. Meanwhile, I'll be passed out, trying to get over my jet lag and some moisture back in my skin. Guess who's back? Back again. Has anyone seen Hailie? They say, what happens in Vegas stays in Vegas. For me, what happens in Vegas … is that after a couple days everything gets very old very quickly. Seriously. 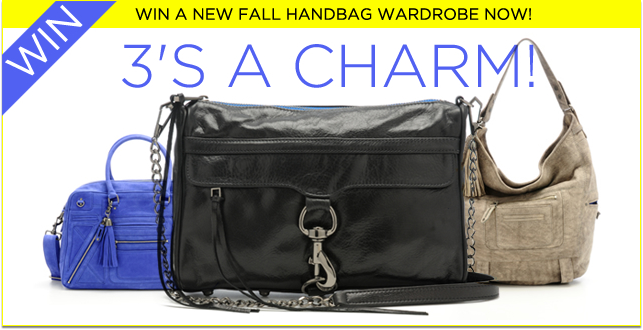 At first, it all seems kitschy and fun. Then, suddenly I start to notice all the depressing old ladies smoking Virginia Slims while playing two slots at once and all the weird tweaked out types, who visit the casinos daily. Then I need to leave. STAT. Maybe that's why I tend to love the drive home. Or maybe I love it because on the way, you can stop at the World's Largest Thermometer. The town that surrounds it is, okay, honestly just a strip of road off the highway. But there are gems to be discovered! Back in the day, when I made my first spontaneous drive to Vegas one crazy college night at 2am and returned to our dorm less than 24 hours later, R, T & I discovered The Mad Greek in the shadow of that amazing temperature telling monster. On another trip, I bought scratch off tickets at a gas station/general store that claims to be the luckiest quickie mart around. 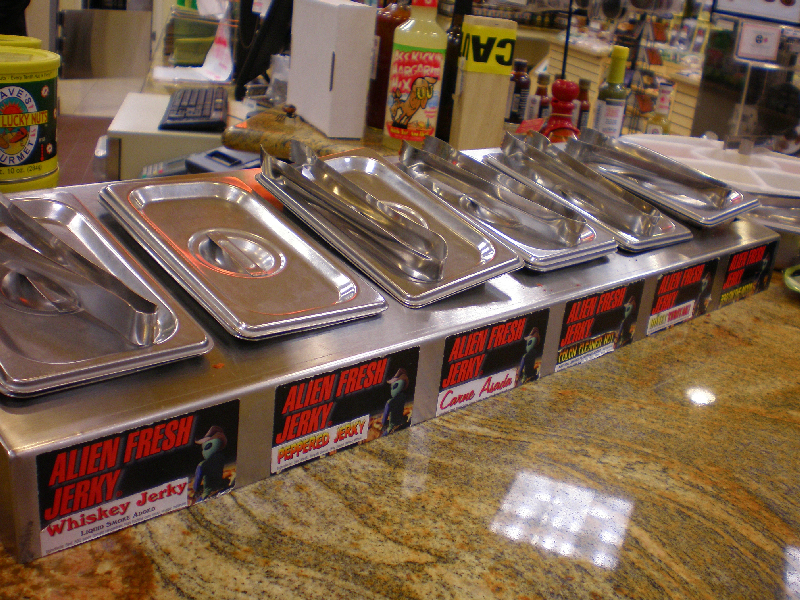 And, on this last trip, Andre and I stumbled (out of the car) upon Alien Fresh Jerky. This place is no joke. They have every different type of jerky from beef to turkey to salmon and from cajun to teriyaki to whisky and carne asada, all in its best incarnation. And the best part is that you can sample all the various options while there (see above). 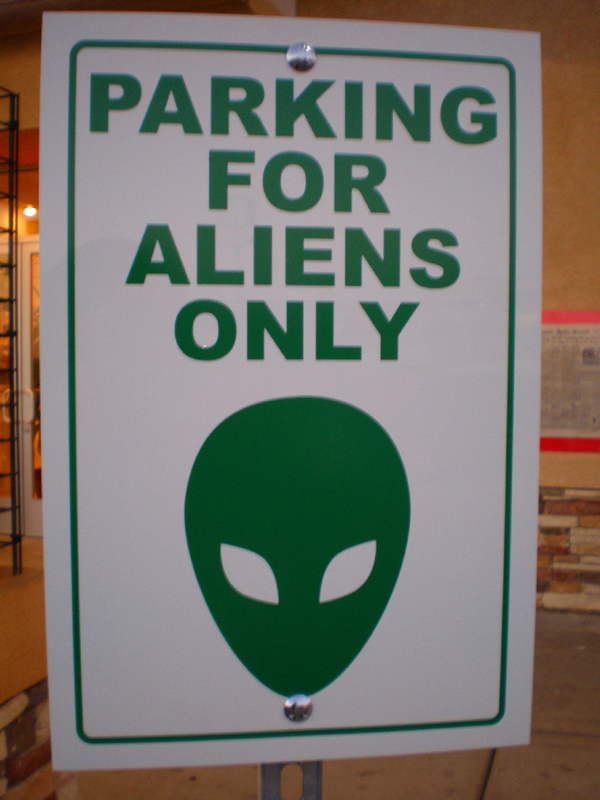 Maybe, if this whole writing thing gets old, I'll start a franchise at Area 51. Now, THAT idea is out of this world. Does my blog look fat? You can be honest. Seriously, does my font look BIGGER THAN USUAL? Okay, okay, so lately I may have subscribed to my own feed, if you know what I mean. What I'm trying to say (in this VERY convoluted way) is that I've eaten my weight in, well, everything lately. And I'm still going down that route thanks to the above Jean Philippe Patisserie chocolates I brought home from Vegas' City Center this week. Initially, I thought they were so pretty that I couldn't even bring myself to dig in, but Andre got me over that hump (way to be supportive, sweetie). 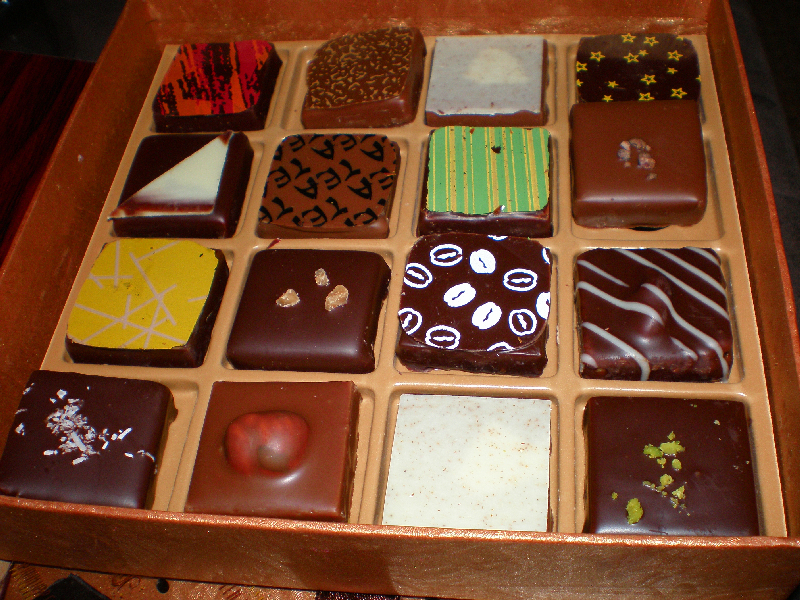 I'm not even a huge sweets person, but I love a box of chocolates, when they are all different flavors. You never know what you're going to get. Unless you read the accompanying descriptions. So I guess you kind of know what to expect. Whatever. The point is that my favorites (and I can say this because I have effectively already eaten them ALL) are the Caramel (salty buttered caramel ganache covered in dark chocolate), Gringo (Blue Mountain coffee-infused caramel ganache covered in dark chocolate) and the Rustic (crunch praline Gianduja ganache covered in milk chocolate). And now I have to sign off, as I'm falling into a post-sugar shock coma. Must. Eat. More. I know. I know. I keep apologizing and then being bad again, but I'm off on yet another jaunt and will not be LINTing Christmas week. Actually, that's sort of not true. I'll be LINTing in the sense that I'll be scouting new finds to share (though I still owe some Pittsburgh and NYC stuff), but I won't be posting regularly until January 2, 2010. 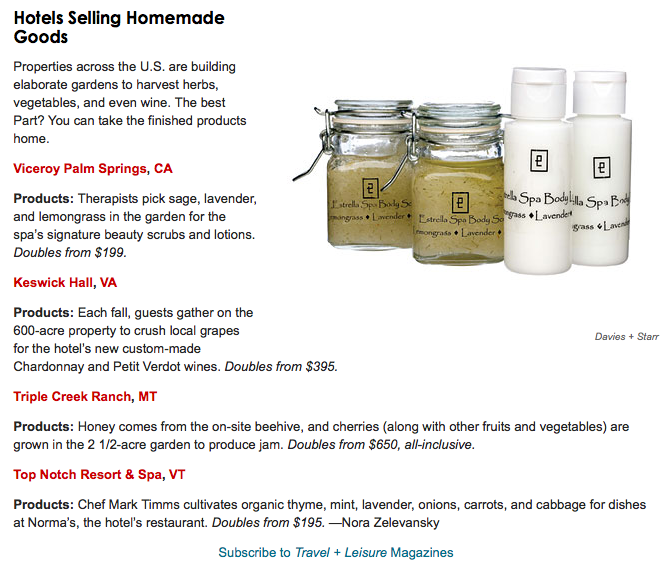 Anyway, I thought I'd leave you with a link to my latest little story in Travel & Leisure (see above) about resorts that farm or crush and create their own beauty and food products. Short and sweet, just like me and my attention span. And my patience. And my fuse. And my family. And the time it takes me to devour french fries. And the time it takes me to read a trashy detective novel. And the time that will pass between now and my next post in 2010. So, happy holidays of all kinds, folks. Good tidings to all and HAPPY NEW YEAR!!!! (I know I already have my sequined number picked out). Well, I mean one only has so many sequin dresses from which to choose, right?